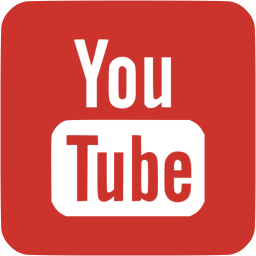 Do you have a YouTube channel but you feel that your strategy is missing something? Do you upload videos regularly but end up not seeing results? It is possible that your videos are good but not ending to generate an active community around them. First you must understand that YouTube does not work like television. The connection established between the creator of a YouTube channel and his followers is much narrower. In addition, fans have more options to interact by sharing the video, commenting or even creating other videos in response. In short, the YouTube audience can be very active and this is a feature that all YouTube creators should encourage. Create a community goes beyond achieving subscribers, although this is a first step. By creating a community seeks greater relationship and interaction between the creator and the audience, the goal is that viewers feel part of something. To begin creating a community is important to having subscribers that show your videos with regularity. For this reason it is best to ask users to subscribe, and so will update all your new videos. Do not forget to add a call to action in all your creations to promote subscriptions. Do not let your audience talking alone. Respond to comments and show them that you care about their opinion and you’re willing to listen to them. Do you want to make people laugh? Do you share your knowledge to help others? Would you like to share your experiences on a particular topic? It is important to have this clear and explain it to your audience. This way the users of YouTube will know why you are different and they should see your videos. You can incorporate that message on the channel trailer, in the information or even repeat it in your videos.